The Department of Radiology and Biomedical Imaging (aka “UCSF Radiology”) at the University of California, San Francisco, is a leading health sciences center focused on serving patients, conducting research, and training the next generation of radiologists. You have the opportunity to make a significant difference by supporting the Department of Radiology and Biomedical Imaging at UCSF. Please consider making a gift. Any amount is valuable, and all gifts are tax-deductible. To be a part of our efforts through a contribution to the Radiology Department, go to the online giving form. There, you can choose a designation for your gift, including Radiology Programs and Innovations, fund # B0590; or the Margulis Society, benefiting resident and fellow training in the Department of Radiology and Biomedical Imaging, fund #B0593. There are many ways to support the UCSF Department of Radiology and Biomedical Imaging: Pledges; outright gifts; planned giving options, including trusts and bequests; and specialized giving opportunities. Gifts and pledges may support current programs within the Department of Radiology and Biomedical Imaging, establish new programs, or provide capital improvements. Christine Glastonbury's academic and research interests are in the areas of head and neck malignancies and the detection of nodal diseases. She is also driven to improve cancer treatment teams by asking the hard questions about the role of radiologists in diagnoses. 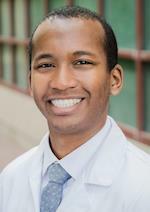 Matthew Bucknor, MD, has recently focused his work on HIFU, high intensity focused ultrasound, an imaging tool that can eradicate abnormal tissue without radiation.